God Idli is a very soft sweet idli. 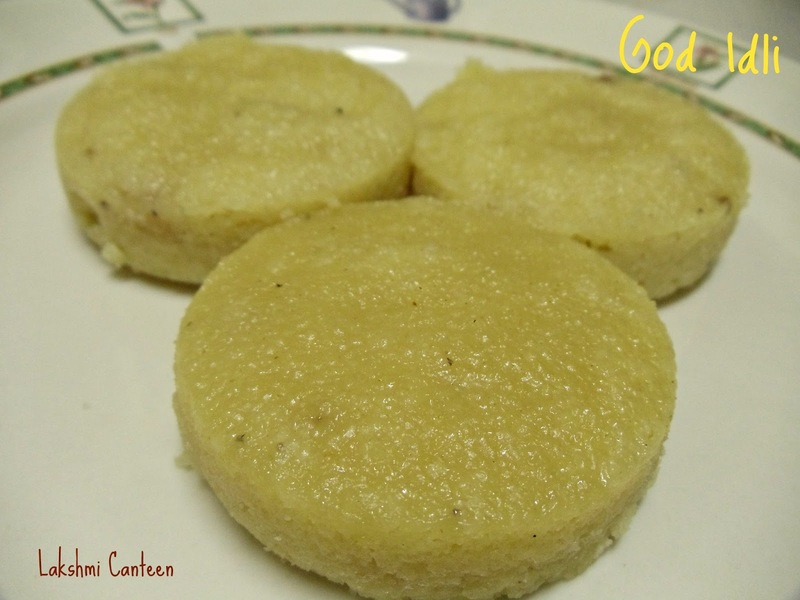 God in konkani means jaggery (anything which tastes sweet is called god!). Isn't funny that we call jaggery as god! Now coming back to idli. This idli is not that commonly prepared nowadays. 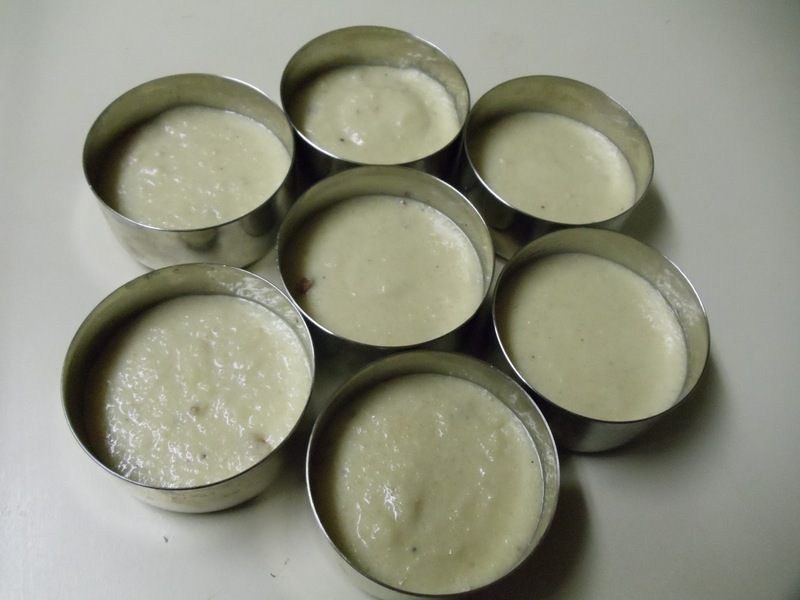 Some 30-40 years back, people mainly used jaggery in their dessert (jaggery is considered much healthier than sugar). I decided to post this recipe, before it is forgotten.My amma used to make these idlis, whenever she had more buttermilk. 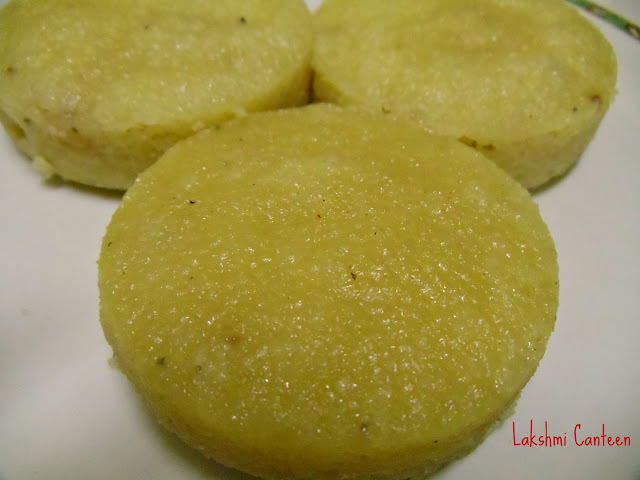 This idli is easy to make and doesn't require special ingredients. 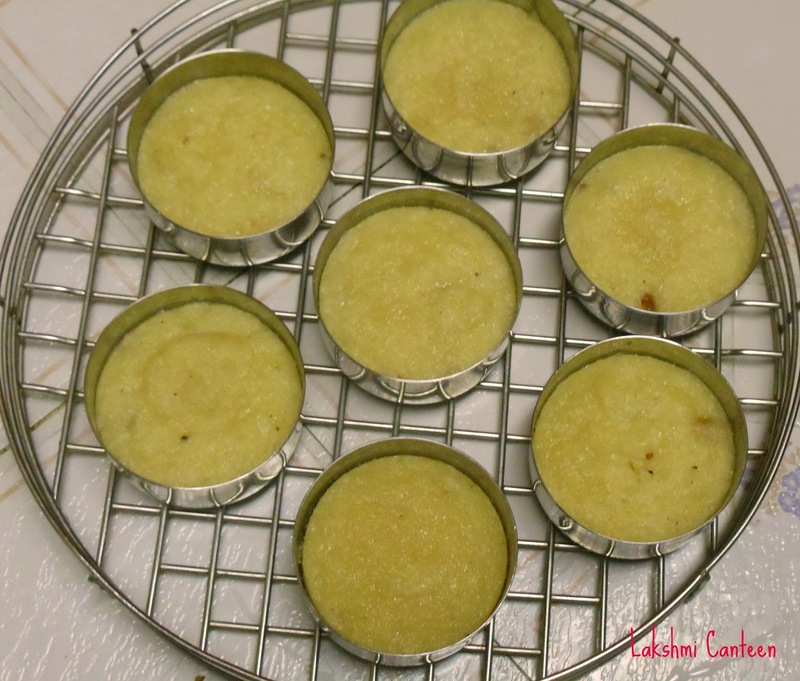 Enjoy making them for breakfast or as your evening snack. Soak rice for 1-2 hours. 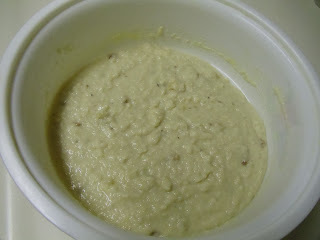 Then grind it coarsely without adding water (like rice rava). Put it in a bowl. Now grind rest of the ingredients- grated coconut, jaggery, puffed rice, curd and cardamom without adding water. Get a smooth paste. Add this paste to the bowl containing rice rava. Add salt, raisins and cashews. Mix well.Check for sweetness. Add grated jaggery if required. 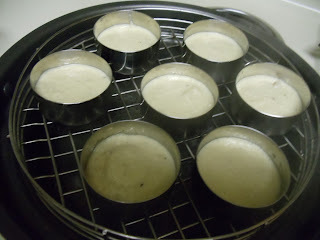 Let the batter sit for 4-5 hours. 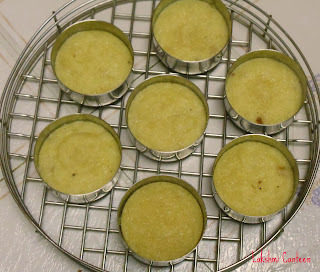 Now put the batter half way through, in greased idli moulds. Steam it for 15 minutes. Serve it hot with generous amount of ghee. Above measurement serves two people (I made seven idlis).